Owing to a modern infrastructure quipped with advanced equipment; we have been able to offer best quality range of Hawthorn Extract in the market. The offered products are available in various packaging options as per the precise demands of our precious clients. Uses:- Anxiety. There is some evidence that hawthorn, combined with magnesium and California poppy (a product called Sympathyl, which is not available in the U.S.), might be useful in treating mild to moderate anxiety disorders. 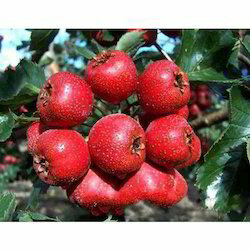 Hawthorn Extract Benefits :Hawthorn is used for diseases of the heart and blood vessels such as congestive heart failure (CHF), chest pain, and irregular heartbeat. Hawthorne Extract, ayurvedic and herbal products provided by Crystal Pharma. Benefits: Circulatory strain. Containing a plenty of amazing cancer prevention agents. 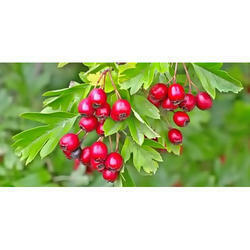 Other Name: The leaves, berries, and flowers of hawthorn are used to make medicine.